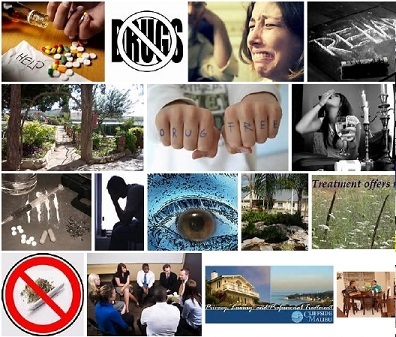 Click here for a Search of images for drug addictions and drug rehab. You will be shocked by the huge number of links to actual Narconon facilities and promotions. Narcononymous.com follows the latest actions of Narconon with a special focus on legal issues, challenges to their drug rehab facilities, and the many tragedies around the world. Of particular interest, are their close alliances with The Church of Scientology. Recent links to Jessica Miscavige’s break with Scientology, the challenges to Narconon that blocked their purchase of a huge tract of land in the Hockley Valley, Ontario. The recent lawsuit by Monique Rathbun in Texas against the CoS, David Miscavige and others will be closely followed. Reports from anti-Narconon activists will be updated. The lawsuits started to mount after three deaths and the permanent brain damage of a young woman who was sent to their Oklahoma facility. Some of the parents were unaware that it was associated with Scientology. The deaths happened in a nine-months period. The court battles are still being waged. Narconon: Are they a front for the Church of Scientology? Personal tragedy for one family, and excellent piece of investigative journalism by Tampa TV station on this organization and their Scientology brethren. Scientology heads face the music in Texas harassment lawsuit. Monique Rathbun, Marty Rathbun’s wife, filed suit against Scientology leaders and the church’s dogs who have been harassing both of them for years. The CoS has at least 15 lawyers in attendance in a small town in Oklahoma, while the Rathbun side numbers just 3 attorneys. The drama continues to build, and the court will resume in mid-October. Jenna Miscavige, Captain David Miscavige’s neice left the CoS with great fanfare. She tells her story about having to work under almost slave-like condition. She saw her mother only twice from age 12-18, and her father only four times during that same period. This short video is from several popular talk shows earlier this year. Her book is a must read for anyone who wants a close personal reflection of this mean-spirited mind-bending cult.